In Applying TJED, Classics, not Textbooks, Home Library, Inspire, not Require. 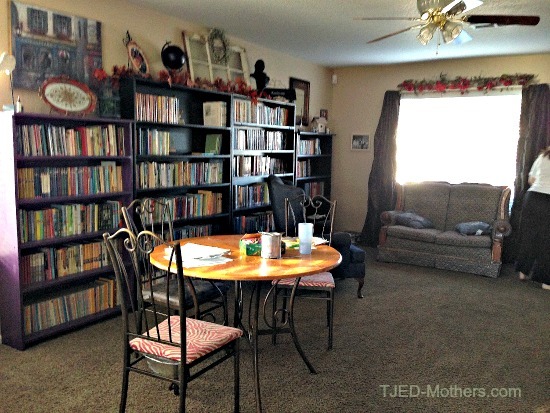 We have various ideas that worked for our children to inspire a love of reading (see this article), but the one that had the biggest impact on our whole family was when we decided to run a family library. We loan out books to friends and family regularly, we have needs of various kinds of books our library systems do not have (mostly old classics and religious) such as old Blackstone’s American Law books, the Great Books Series, or Will Durrant’s History Series. Having books at the fingertips of your children inspires a desire for lifelong learning and reading. “According to a new study published in the journal Research in Social Stratification and Mobility, is just how strong the correlation is between a child’s academic achievement and the number of books his or her parents own home. It’s even more important than whether the parents went to college or hold white-collar jobs. We started out with a few bookshelves of books, but we now have nineteen bookshelves filled with books. 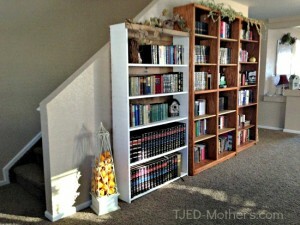 Our family needs a variety of books for our homeschool, religious, personal, and family needs. 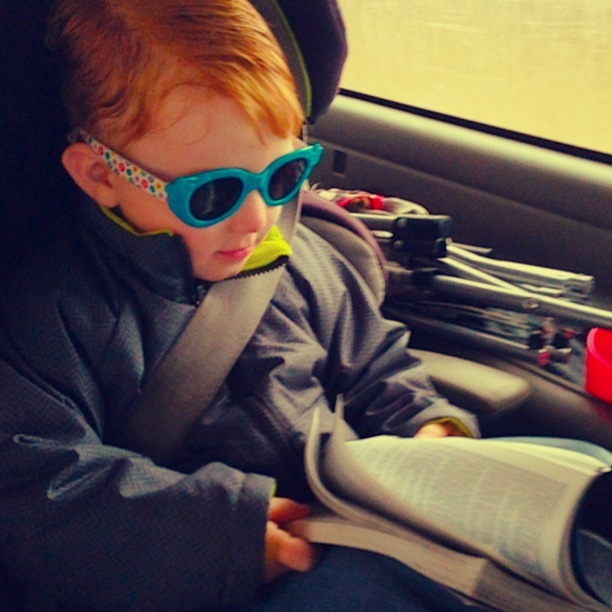 The first thing my children learned was what “genre” was and why it matters. We began separating our books by genre and the kids learned very quickly how to help. Next, they began learning about authors and titles and how to find what we didn’t have. They created lists by author and put them in a folder for me to take when shopping. If I forgot the list, I called the kids and they went to the bookshelf to say yay or nay on titles and authors. My son learned to build and repair bookshelves with my husband. The kids learned to paint them. And my son learned to anchor them into the wall for safety. We purchased old fashioned library cards and pockets and went through all of our books putting these in the back. We bought personalized library stamps for the inside covers of our books. I bought dozens of packs of sanitizing wipes and whenever I came home with books from thrift stores, used book stores, or garage sales, we would all get together and clean books, take off tags, and put in the cards, pockets, and stamp the front. We would also white out writing in the front or back of the book and do a little repair work. The kids learned how to repair a variety of books. We purchased the ipad app BookCrawler to inventory the books. We love the ipc reader to make things easier and it even has an option to put in when someone is borrowing the book. The kids were taught how to treat the books, handle them, and pull them in and out of the shelves properly. As they saw my excitement for new authors, piles of books, and reading and discussing them the contagious book fever hit them too. It was like an unstoppable force. They had piles they wanted to read and then actually read! They take all of their friends to the library and talk about books with them. They pull books out of the shelves regularly and it makes my heart happy to see them curled up with a book (except when it’s chore time). Most of our collection is used books. Friends found out that the were collecting and donated their books to our cause. Those that were duplicates or books we won’t read, we give away or trade into the used book stores for credits. Are we anti-kindle or Nook? Absolutely not, but we prefer real books. We have lots of kindle books but everyone of us will choose real books in all of their character over our electronic books. I tend to get books I don’t know if I will have us read more than once on the kindle. Sometimes I’ll get a duplicate book on kindle if the kids are reading the same book for a book group. I find it isn’t cheaper to go this route. Used is the best, but I sure do love brand new books as well. Also, I don’t like “flipping through” a Kindle during a book group. 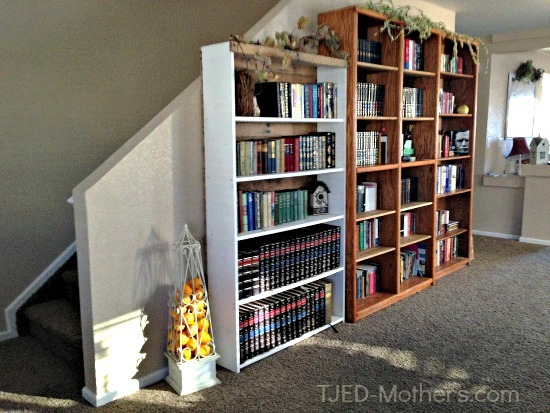 We are a military family and will keep all of the books and bookshelves when we move. We keep what is important to us. It is more than worth it knowing and seeing that it keeps the flame of reading alive. I love that we have thousands of books in our home at the touch of a finger, or the browse of a shelf. I love that my children have gained this knowledge and experience. And acquired the vast knowledge of titles, authors, series, and genres. 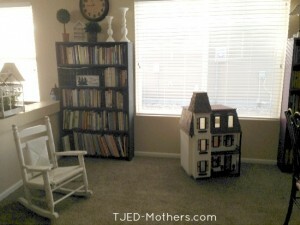 There are multitudes of benefits in creating a family library. It makes me sad to see more and more people going away from having books at home and more on the electronics. We have enough electronic use going on around us with all the negative affects (radiation exposure for one) that our family is more than excited to go this old-fashioned route. James Madison wisely said, “Knowledge will forever govern ignorance; and a people who mean to be their own governors must arm themselves with the power which knowledge gives. Philosophy is common sense with big words.” And this among many other reasons is why we are building a storehouse of knowledge for the mind in our family library. 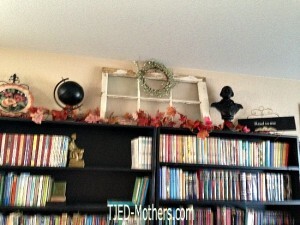 *Pictures of our main family library. Tagged family library, Family Library: the Inspiration that Exploded Reading in our Family, inspiration, inspiration for reading. I love this Shiloah! It inspires me to keep collecting. Now I just need to learn how to build bookshelves to we can actually see all of our books. If you ever make a list of books that inspire and build moral character, I would love to see that. Thank you for your comment and suggestion! What age range are you looking for? I love your ideas. I am looking for books for all ages…I am a new homeschooling mom and am just learning to love the classics myself. I read “Carry on Mr. Bowditch” because of your suggestion and it really was inspiring. I am looking to create a list of something like “the essential 50–books that I would have in my library if I could only have 50” so they have to be books that build character and inspire my children and me. My 8 year old daughter loves reading, and my 5 year old daughter looks like she is going to be a reader too, yay! So far on my list, in addition to “Carry on Mr. Bowditch” would be the Little House series, “Pollyanna”, “Heidi”, “The Chronicles of Narnia”, “The Hiding Place”, “How to Make Friends and Influence People”, and others like those–those are the books that change the way I look at the world, inspire me to serve others, they give me a sense of gratitude for who I am and what I have, and help me have faith in the Lord, and become a better person overall. I love this. And it makes me feel better about my book collecting tendencies. I’m just getting started and too would love a list, or list by genre, of your favorites.